Why has It become Cool To Be An Entrepreneur? It’s official: being an entrepreneur has become the cool thing to do. No longer do we have only two choices once graduating from college (grad school or work). There’s now a third, cooler – more fashionable – alternative: becoming an entrepreneur. With worldwide attention focusing on famous entrepreneurs such as Mark Zuckerberg, Richard Branson, Ellon Musk, and Steve Jobs, and their success stories, no longer is working for a large branded conglomerate the ultimate success status symbol. Today, choosing the path of a founder, entrepreneur, or early startup employee has become one of admiration and budding entrepreneurs everywhere are looking to be the next big success story. But why has this shift in views of the entrepreneur lifestyle changed recently? What makes choosing the life of an entrepreneur the new fashionable thing to do? The number one reason people want to become an entrepreneur is to have the ability to make a living doing something they actually enjoy. As technology advances, and the cost of starting up a business decreases, it’s now no longer as risky to set off on your own in pursuit of that dream as it has been in the past. While becoming an entrepreneur still has its own unique set of risks, it’s no longer life shattering if your idea fails. And it’s no longer uncommon to try to do it again. Entrepreneurs are viewed as those who are thinking ahead of everyone else. They’re able to see a need and a use of their skills to create a solution to a problem in the world, whether it’s a social, technical or retail need. While industries are constantly changing, shrinking or growing, there’s room for providing services or products that can help specific industries thrive. For example, just think about where technology, and the world, would be today if Steve Jobs hadn’t invented Apple – and all entrepreneurs bring that hope of the next big thing to change the way our world works. The majority of people now see entrepreneurs as a stimulator for the economy. With each new business started by an entrepreneur, the economy sees more jobs and more money. Entrepreneurs even help aid governments through taxes, helping them provide basic services such as health care, transportation, education and more to their country. Entrepreneurs are becoming the saviors and heroes to struggling economies around the world. The ultimate dream of becoming an entrepreneur is that you’ll have no boss - no one else to report to except yourself. Everyone has dreamed of not having a boss, especially when they find themselves stuck with one that’s a nightmare. There’s admiration (and a bit of jealousy) for those who choose to go to entrepreneurial path. But being an entrepreneur is even more than just not having a boss. It’s about having control over your life. Entrepreneurship has the ability to be flexible, allowing you to create your own work schedule and to work from wherever you want. This work-to-life balance is a key benefit for being an entrepreneur, and those who aren’t, wish they were one. Overall, it is the pros of being an entrepreneur that has really pushed it into becoming a fashionable lifestyle choice. 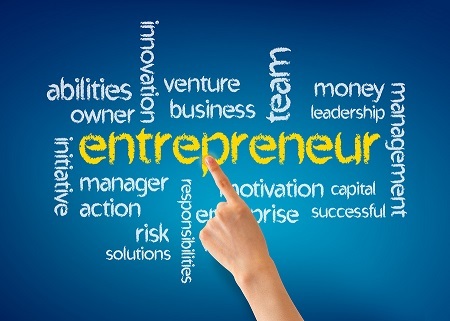 As social media and other media outlets continues to showcase the lifestyle and stories of entrepreneurs (both large and small/famous and new) more and more people are seeing the benefits of the entrepreneurial lifestyle, making entrepreneurship a very popular and hip choice.